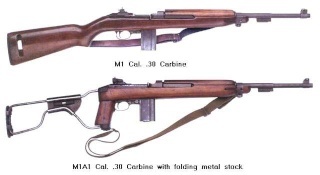 M-1 Carbine mags that are NEW in Kraft paper wraper. Most are "SEY" but have a few "A.I." but feel free to check my 100% postive feedback on ebay as "Waltherman"
$65 for singles plus actual shipping. $50 each if you take 10 or more plus actual shipping. Any of these mags for sale? ?